The Drop N Rock was an idea brought to life by inventor, mastermind, and founder of Rock Solid Stone Centers, Larry Santangelo. Larry is always thinking of ways to simplify life and make the hard work not so hard. This creation is pretty self explanatory. 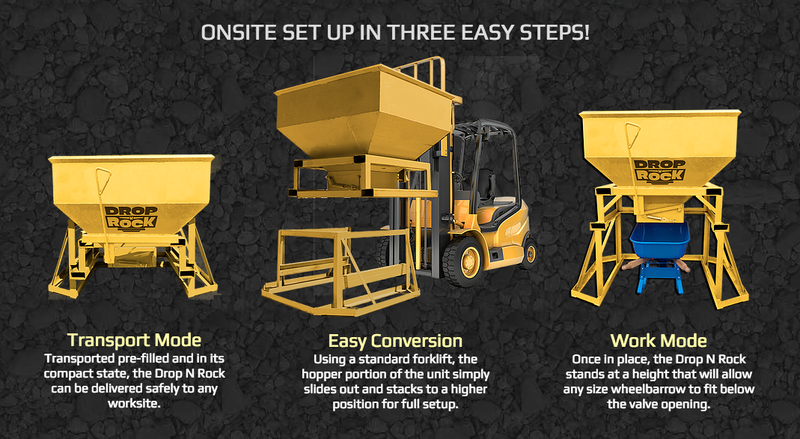 The Drop N Rock was designed to make working with rock a little easier. Anyone who has shoveled rock knows how much easier the job would be to remove the shoveling part from the equation. Putting a shovel into a pile of rocks is taxing on the body for even the most skilled professional…for an average homeowner it’s punishment (in the worst way possible). Now add in the HOT Florida sun, and you have an idea what hell would be like! Once it’s delivered, it’s set up for you to use, and when you are done, we come and get it. It’s that simple, and Rock Solid Stone Center is the only place that has them in this area!! 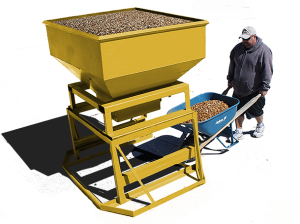 Construction in a two-piece design for easier transport and setup, the Drop N Rock aggregate loading system breaks down to carry a lower center of gravity so it can be safely and easily transported by truck. 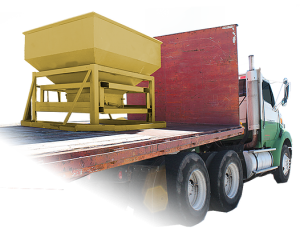 Its compact 72 x 54-inch frame allows multiple units to be loaded for delivery. Made of high-quality steel for durability, the container can fit up to two tons of product and the easy-flow barrel valve opens and closes effortlessly to fill fast and prevent overflow.